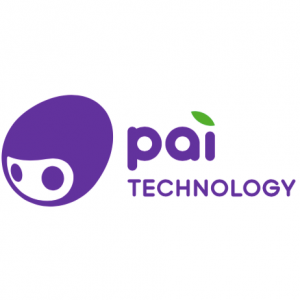 Pai Technology is an international company focused on the development of children three to 12 years old As a brand that’s new to the U.S., they knew they needed to be really clear on their messaging in order to cut through the noise. With messaging like that, it’s no secret what the brand is all about. The timing may have been unfortunate following revived concerns of the dangers of too much technology for young children. But as the debate swirled, exhibitors at the Las Vegas extravaganza sought to showcase devices aimed at health, education and entertainment for youngsters, including educational robots. Amy Braun, marketing director for the group, acknowledged concerns about kids and technology but said these devices still have value. “Technology is here to stay, and it’s important to expose our children to technology but in beneficial ways,” she said. Braun said parents must decide on appropriate limits for screen exposure and other technology usage. Chinese startup Dragon Touch unveiled its colorful tablet computer aimed at kids between three and six years old, with educational apps and parental controls. “I really don’t want my kids to spend too much time on the internet,” he said. An augmented reality toothbrush meanwhile introduced by French startup Kolibree allows children to look at a smartphone or tablet screen to motivate and educate them about oral hygiene. “With image analysis, the application detects the brushing motion,” Kolibree’s Leonie Williamson. The device makes brushing a game, enabling kids to earn points by holding and using the toothbrush correctly. 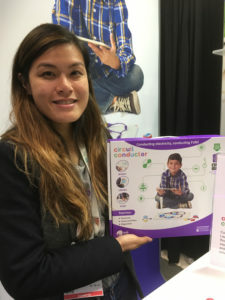 The electronics show has long featured devices for children, and exhibitors typically plan their displays and products many months in advance. But the show opened just amid fresh fears that too much technology may be harmful for children. In the United States, the nonprofit group Common Sense Media found 95 percent of US households have a mobile device in the home. Screen time has been shifting, the group said, from television to mobile devices. Earlier this week, two large shareholders urged Apple to study whether iPhones are proving addictive for children and if intensive use of the smartphones may be bad for their mental health. The investors cited a recent study suggesting children are negatively distracted by digital technologies in the classroom. “We want to make sure that our kids today are both getting outside and play, and that they are playing with traditional toys, that they’re playing board games, but they’re also using iPads and tech toys, and learning about coding and other things that are happening in the world around us today,” she told AFP at the show. Read the full article here: https://www.huffingtonpost.com/entry/58bafc8ee4b02eac8876cf3b.